Create an Arkansas Lease Agreement with our attorney-drafted template! What Is an Arkansas Lease Agreement? An Arkansas lease agreement is a legally binding agreement between a landlord or property management company and one or more tenants of legal age. It gives the address of the property being leased, how long the lease will last, and the obligations of both the landlord or property management company and the named tenant(s). 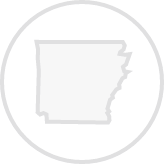 In Arkansas, the most commonly used lease agreements include a commercial (retail) lease, a standard residential lease that lasts for one year, a month-to-month lease, a roommate agreement, a lease to own agreement, and a sublease agreement. The month, day, and year that the Arkansas lease agreement was created. The name and address of the tenant or tenants who are legally responsible for the property. The length of time the lease covers. This includes the start and end date of the lease and whether the lease will automatically convert to month-to-month if it is an annual lease. The amount of the monthly rent and when it is due. How the tenant can pay their rent to the landlord. For example, the tenant must mail their payment to a certain address. 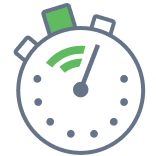 Whether there is a grace period for late payments, how long that grace period is, and the amount of the late period. The amount that will be charged if the rent payment is late. The amount of the security deposit and conditions for its return. The amount of any cleaning fee that may be charged if the landlord must use a cleaning service after the property is vacated. The utilities the landlord will pay and the utilities the tenant is responsible for paying. The name, address, email, and phone number of any person acting as an agent for the landlord. If there is no agent, the landlord should place their information here. If there are pets allowed, the pet deposit amount, and any restrictions related to pets. The signature of both the landlord and tenants as well as the date they sign. Which Disclosures Belong in an Arkansas Lease Agreement? The State of Arkansas doesn't require landlords to give any specific disclosures to tenants. However, if a residential unit was built before 1978, landlords must provide a lead-based paint disclosure. This is federal law. Arkansas state law limits the security deposit amount to no more than two months' rent. Security deposits must be returned to the tenant within 60 days of the end of the lease. If the landlord can't get into contact with the tenant for 180 days, the money becomes the property of the landlord. Create a free Arkansas Lease Agreement in minutes with our professional document builder.